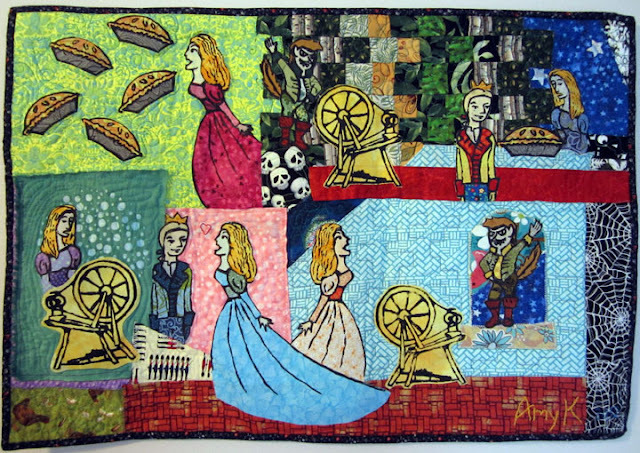 Blotch and Thrum: folktale art quilt, finished! It turned out a bit different than I had thought, but I'm pretty pleased. Also, I think there is too much blank space. But it does look like the plan. I'm just not sure it was a great plan in retrospect. 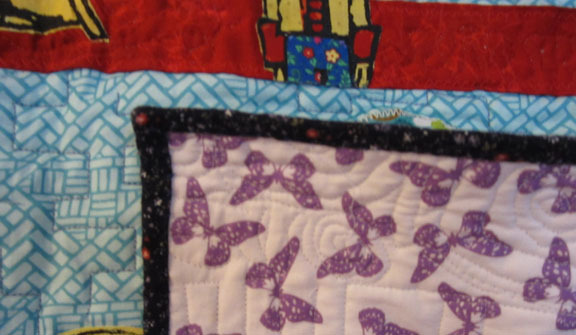 It's about 18 inches high, and 25 inches wide. a bit out of focus!